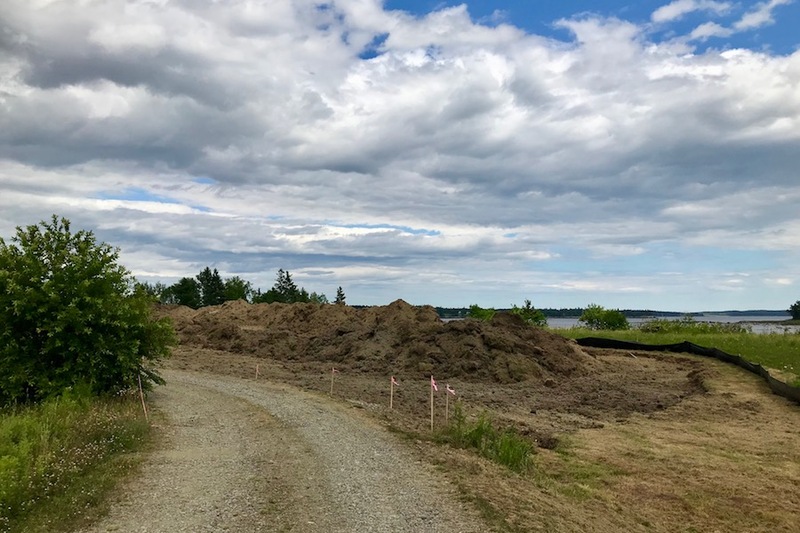 The Milbridge Planning board has given the green light to Maine Coast Heritage Trust (MCHT, a statewide land conservation organization), and the Women’s Health Resource Library (WHRL) to begin construction on the proposed park in downtown Milbridge. The plan has also been approved by the Department of Environmental Protection. Construction on Milbridge Commons Phase One began the first week of July. Anticipated completion date is October 31st 2018. The bid was awarded to Richard McMullen Construction of Trenton, Maine. Phase One of Milbridge Commons will feature a perimeter walking trail, an expanded Incredible Edible garden featuring organic vegetables, a children’s garden, and a playground. Currently 85% of the needed funding has been raised for Phase I, with a goal of $369,000. WHRL assistant executive director Susan Jordan Bennett reports the group is now focused on raising funds for the play area. “Families with young children are eager to have a safe, easily accessible playground for their kids. Milbridge Commons will provide this wonderful feature with an imaginative outdoor space that will delight children and parents alike. We are grateful to have worked with MCHT to make this conserved land into a true community asset. ” It will include large-scale outdoor musical instruments, a “Hobbit House”, a “poetry jumble” utilizing a collection of stones with words on them, as well as play spaces utilizing natural materials. Donations are accepted via the secure website MilbridgeCommons.org or by sending checks to WHRL, PO Box 463, Milbridge, Maine 04658. For more information, contact the WHRL at 546-7677.